Strabismus surgery, eye muscle surgery, is performed on children and adults to treat misaligned eyes when non-surgical treatment is ineffective, such as patching (occlusion), prisms, botulinum toxin injection, monocular occlusion or fogging, and in some cases eye exercises. Strabismus, or eye misalignment, is marked by eyes that do not move together normally, which is caused by intraocular muscle imbalance. When the eyes are functioning properly, the muscles attached to the eye work together to move the eyes in the same direction at the same time. Strabismus causes muscles to function improperly, leaving individuals unable to control eye movement – especially during times of rest. 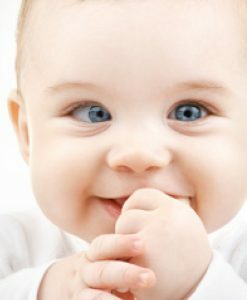 Specialists in pediatric ophthalmology often treat strabismus since it is most commonly seen in infants and young children, although older children and adults can develop it, too. Strabismus is more commonly known as misaligned eyes, lazy eyes, crossed eyes, or wall eyes, a condition where one or both eyes wander inward (esotropia), outward (exotropia), one eye vertically higher up (hypertropia) or down (hypotropia), or the eyes are misaligned torsionally, that is rotated inwardly or outwardly (cyclotropia). Strabismus can be constant or may only occur when a child is tired or is looking at something up close. This misalignment, inward or outward of the eyes, can be treated with corrective vision therapy or eye muscle surgery (lazy eye treatment). Children with strabismus are usually diagnosed between the ages of one and four, having been afflicted with the condition since birth. 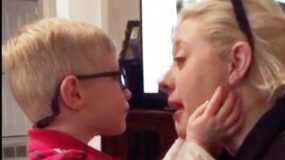 Occasionally, but in rare cases, a child over the age of six can develop strabismus, in which case, immediate medical examination is necessary to rule out any underlying or more serious factors. 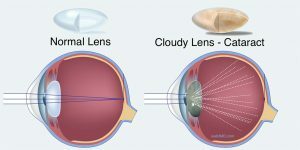 Some children may not complain about eye problems and may not be aware of the issue, while others can suffer from double vision or difficulty with vision in general. 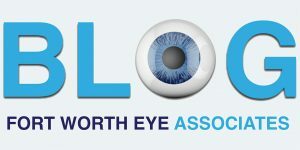 Treatment for strabismus (lazy eye treatment) will be determined by the underlying cause of the condition and the severity of eye misalignment. Correction for strabismus normally happens with either glasses or eye muscle surgery. Strabismus surgery (eye muscle surgery) is designed to loosen or tighten the eye muscles, depending on the affliction, which realigns the eyes into the correct position. Surgery will be completed under general anesthesia, and most often is performed as an outpatient surgery. 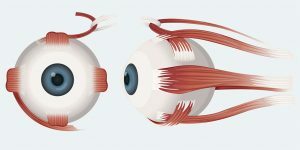 Horizontal Rectus Eye Muscles: Horizontal movement is controlled by the medial rectus muscles near the midline (near the nose) and lateral rectus muscles positioned away from the midline. Vertical Rectus Eye Muscles: Vertical movement is controlled by the superior and inferior rectus muscles, upper and lower respectively. 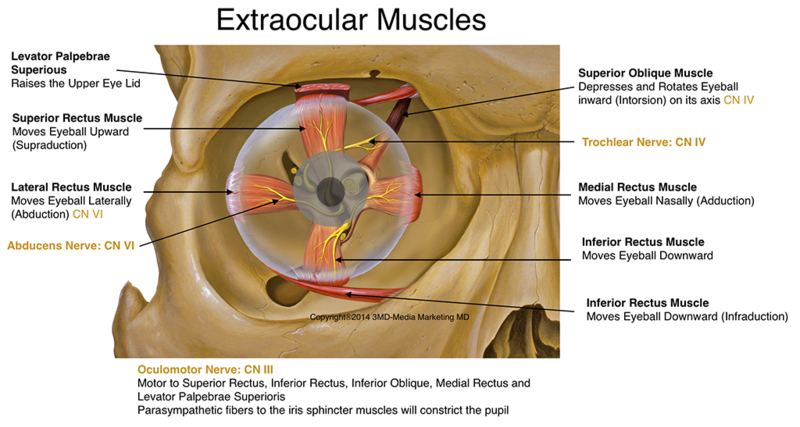 Oblique Eye Muscles: Superior oblique muscle pulls the eye downward and laterally, while the inferior oblique muscle pulls the eye upward and laterally. The eye muscles attach to the wall of the eye, called the sclera, and are covered by a thin layer of tissue known as the conjunctiva. During strabismus surgery, the surgeon will set a lid speculum in place to hold the eyelids open and then will make a small incision in the conjunctiva, in order to access the eye muscle. The surgeon will then use a small, delicate hook to isolate the muscle before he or she makes the readjustment. There are two methods that a surgeon may use during strabismus surgery, either a recession or a resection. Eye muscle recession is when the surgeon alters the attachment site of the muscle, cutting the muscle from the surface of the eye and reattaching it further back on the eyeball, away from the front of the eye. 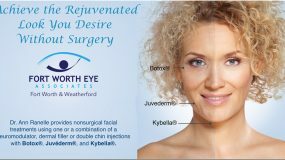 Eye muscle resection is where the muscle is cut from its site of attachment; a small portion of the muscle is removed and then the shortened muscle is reattached to its original placement. In most strabismus surgery (lazy eye treatment), when the muscle is reattached to the wall of the eye, a permanent knot is used, which is not an adjustable suture. 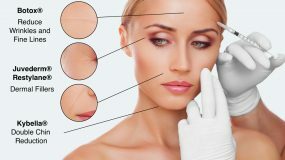 An adjustable suture technique may also be performed that uses either a bow knot or a slip knot, which is temporary (and therefore adjustable) in an easily accessible position. 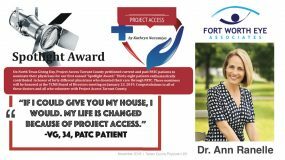 Following surgery, procedures can be completed to adjust the positioning and is usually done under local anesthesia with a patient awake. This procedure therefore, can only be carried out on cooperative patients, so younger children may not be eligible. After strabismus surgery, a patient’s eyes will usually appear red in the white of the eye. A return to normal coloring can take weeks to months to take effect. For a few days following the procedure, it is likely the patient’s eyes will feel scratchy and sore, but this should clear up by itself. 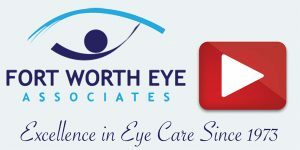 If an adjustable suture is used, your doctor may provide a patch to be worn or prescribe an antibiotic eye drop or ointment following the surgery. 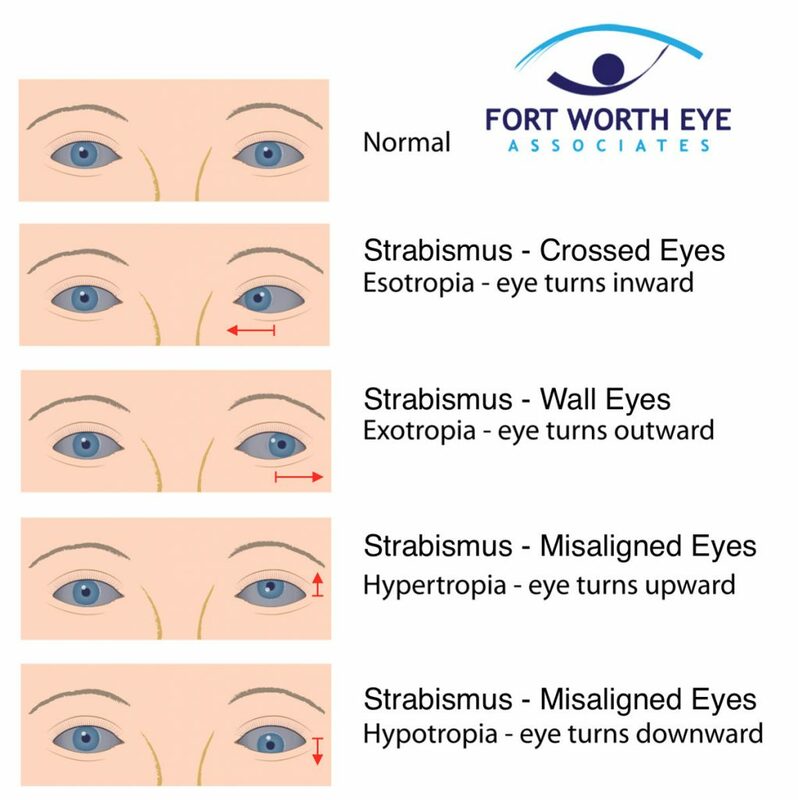 If you would like to learn more about strabismus, please call our Fort Worth office at 817-732-5593.